The Vic Café Bar is a hubbub of creative activity that specialises with an impressive menu capturing more than just students. 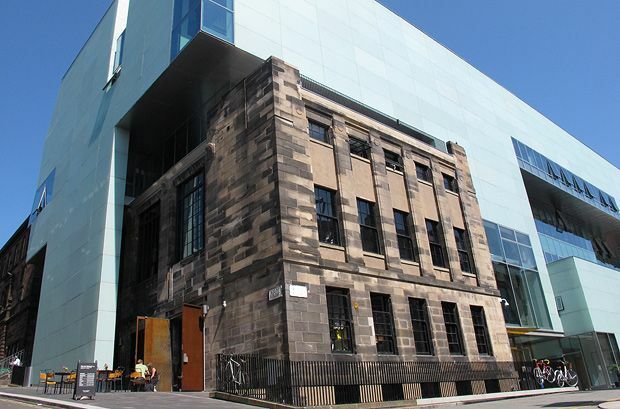 Adjacent to the historical Mackintosh building – devastated by a second fire in 2018 – on the corner of Renfrew Street and Scott Street lies the Vic Café Bar. Attracting a student based crowd, due to its reasonable prices, accessibility to the Art School and a wide variety of events and club nights, it is buzzing with energy and creativity all day. The bar has an industrial-style interior, decorated with exposed brick and red iron, juxtaposed with quirky hand-painted menu boards and highlighted with fresh flowers and plants. The menu caters to those ready for a quick bite before a lecture or those after a hot meal and a boardgame marathon, featuring a good vegetarian selection and hosting a variety of vegan and gluten-free options also. The almost creamy slow-cooked lamb, is accented with tangy yoghurt, nutty tahini and coleslaw to provide a much-needed crunch, all wrapped in a soft floury flatbread washed down with a pint picked from a selection of rotating craft lagers. Just up the hill from Sauchiehall Street, it’s worth the climb. A series of nights hosted by VAJ.Power collective, bringing together visual artists, performers, musicians and DJs, where different fields of expression extend into the club. A member of California's Project Blowed collective with a whip-smart sense of humor, rapper Open Mike Eagle was born Michael Eagle II in Chicago. It was at the Southern Illinois University Carbondale that the aspiring MC became an RA, and after he met Hannibal Buress, the resident advisor and student became fast friends. The alt pop four-piece from Edinburgh, who took their name from the influential Glasgow School of designers and artists, explore gender and sexuality on the latest LP, Could It Be Different?